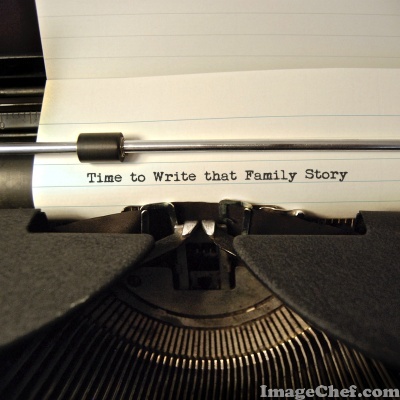 In writing the book about my mother’s family I have added sidebars to my book. A basic sidebar is not difficult to add in Microsoft Word. In the top task bar go to: Insert/Text Box & look at the options in the drop down menu. I have used the Conservative sidebar because I don’t want any lines or colors to take away from the content. I like to place the sidebars on the outer edges of the pages; on the left edge on the left hand pages & on the right edge on the right hand pages. I don’t want them lost on the inner margins, especially if the pages do not lay flat. I use sidebars for two different reasons. First, I have used sidebars to add photographs to my book. 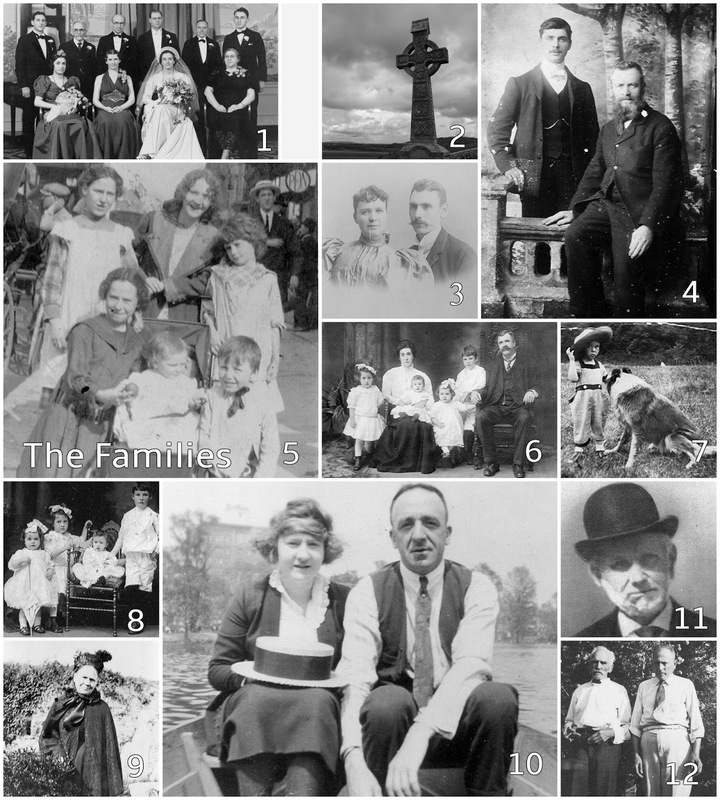 I have read many genealogy books where photos are placed in a separate section but I like to see the faces of the people I am reading about so I have the text & the photos together. I set my sidebars about two inches wide so my photos are small but if I kept the photos at their original size they would take up lots of space & each new page makes the book more expensive. I caption the photos with name, date & location when known. I’ve also added photographs of churches, homes and tombstones of the people I am writing about. I like the look of the pages with sidebars and I think the photos liven up the pages. Second, I have used sidebars to add historical notes. For example, when I was writing about the birth of my Nana, Helen F (Coyle) Gardner, born 9 January 1897 in New York City, I added a side bar to paint a picture of the time and place she was born. I include the source of the historical note. New York City in 1897. New York has more than 2,000 street vendors selling cheaply priced fruits, vegetables, household goods, and clothing. Their pushcarts are to be found mostly on the Lower East Side… The vendors buy wholesale lots of factory seconds, surplus or damaged food items, and the like: customers buy rotting pears for almost nothing and salvage the edible portions; they buy second – and third – hand shoes; even complete wedding outfits (for as little as $10)…. A pushcart can be bought outright for $5 to $10, but most of the vendors rent their carts for 10 to 25 cents a day; with an initial investment of $5, a peddler can earn $8 to $10 per week, enough to support a family of five. Source: James Trager, The New York Chronology (New York: HarperCollins Publishers, 2003), p. 251. 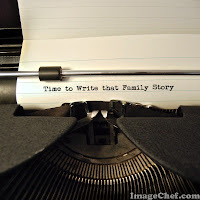 Our family members are the characters of the story and the historical facts are the setting. Sidebars help to add details to that setting. My historical notes might include economic, political or social information on local, state or national level. Give sidebars a try. They are easy to add and have many possible uses. I am reaching the final pages of my book & hoping they will be as interesting as the first pages. Of course, there will be a Bibliography & an Index which will be vital but not exactly intriguing. I am scanning original documents, certificates & letters to include. Most of these items have been kept in our family for generations. Some of them are scans of originals that belong to distant cousins or were found in archives. I especially like the letters. I am the holder of the originals. 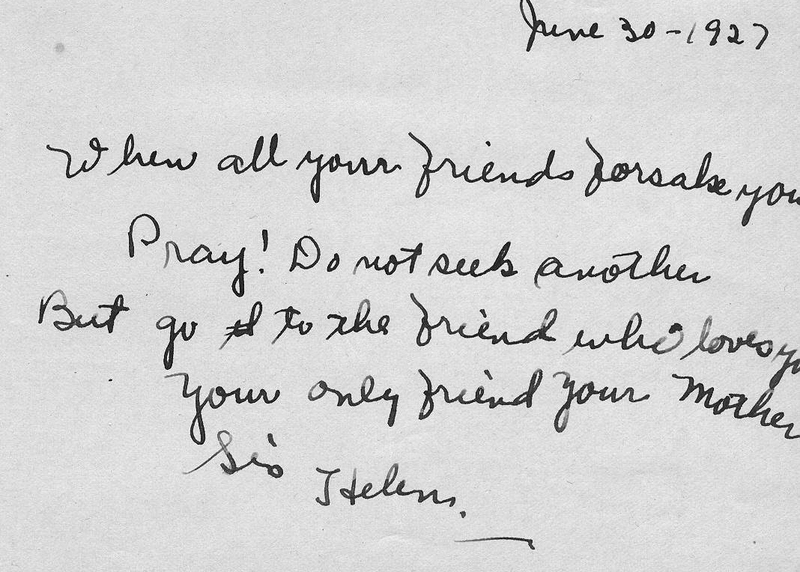 I like seeing the actual handwriting of my family, like my maternal grandfather who died long before I was born. I like holding the papers they held. [Of course, I do not handle them often. They are in archival sleeves.] The occasional misspellings and cross outs make my ancestors come alive. In one letter my grandfather switches from a pen to a pencil because the ink runs out of his pen. I would like to include all the letters but there are quite a few & although it would help to preserve them I’m not sure folks would like to read them all. 1927. Autograph book page. 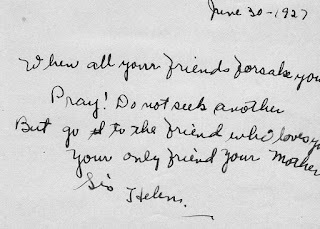 Written by my maternal grandmother to her sister. I am considering including a couple recipes from my mother but I am not sure if those would belong with the documents [They are not hand written.] & I’m not sure there are enough to make a separate section. Another decision I have to make. If I include them where should they go? What about our family 'treasures'? The cake plate used in my great grandfather's bakery, the tiny gold bracelet my great grandmother bought for my mother before she was born, the lace veil from my mother's First Communion, my grandfather's telegrapher's key,... I have photographed these items. Do the photos belong in the book? Where: in the chapters about the people they belonged to or in the Appendix or in another section altogether? A practical consideration when considering what to include in the Appendix is the number of pages & the cost per page. At this time the book is 350+ pages. Of course, everything should be included to share with the greatest number of people but what it becomes too expensive to put into a great number of hands? 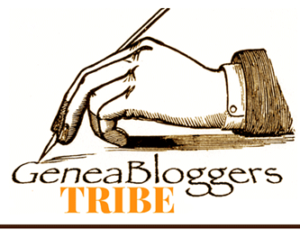 Have you added an Appendix to your books? What did you add? Have you read a book & wished something more was included? I’d love to hear your thoughts. 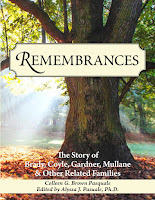 I am putting my research on my mother’s family into a book. I would like to include a few maps. The book I wrote about my paternal grandmother’s family took place in the United States and I did not feel a great need for maps. However, my mother’s book stretches across the Atlantic and I think maps would be helpful to give a clear picture of our roots. The first task, of course, is to locate maps. I have maps from archives and genealogy centers. I can credit those institutions for the maps. I have maps in books and I can cite the books for those maps. What about maps on line? Who gets credit? I found several black & white maps of Ireland that show the counties. They look identical but they come from various websites. Do I credit one, all or none of those sites? 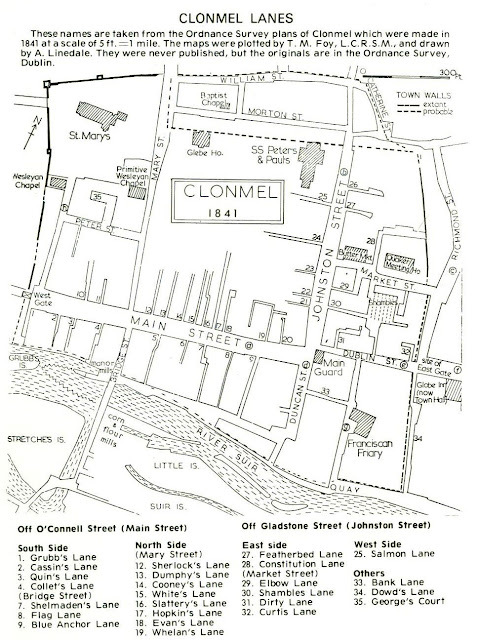 Clonmel; An Architectural Guide by Elizabeth Shee & S J Watson, 1975. 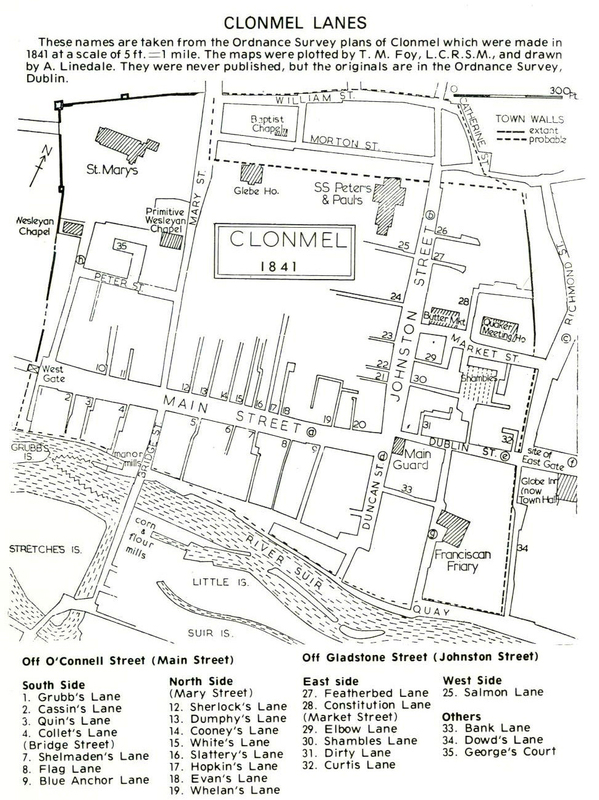 My Mullane family lived in Clonmel, Tipperary, Ireland for about 100 years. My book is being written for my family, certainly not mass market sales. However I do want to give credit to others for their work. I certainly have no talent for drawing my own maps. I welcome feedback from others who have dealt with maps in their publications. Where do you get your maps & how do you give credit to the artists? 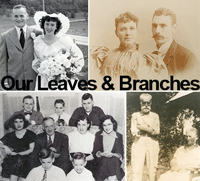 I have been detailing the many elements I am including in the book I am writing about my mother’s family. I have written about Page Numbers, a Table of Contents & an Index. These items are standard items seen in the most useful genealogy books. I want each section to begin with a divider page. I gave thought to how those divider pages should look. When each page in a self-published book increases the cost of the book I do not want much white space. I considered charts or graphs but decided to use photographs. At befunky.com you can make collages for free. Import your own photos & follow the instructions. I made a collage for each Section and each chapter of my book. On the collages I used the text boxes to add a number for each photo. I inserted each collage & beneath it I typed in a key that tells the reader who is in each photo. I'd love to use color photos when available but color greatly increases the cost of each book. The divider pages are not merely filler pages. They organize my book, embellish & educate. Here is the divider for 'The Families'. What personal touches have you added to your publications?